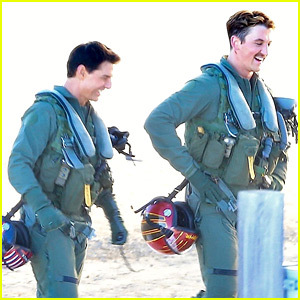 Tom Cruise and Miles Teller walk around set together while filming a scene for Top Gun: Maverick on Wednesday (December 12) in Lake Tahoe, Calif. The guys have been hard at work on the movie for months! Tom is reprising his role as Maverick in the movie while Miles is playing the son of Anthony Edwards‘ character Goose. Not much is known yet about the plot of the film. Top Gun: Maverick is set to hit theaters on June 26, 2020, so we have a long time to wait! Dragon Ball Z : au fait comme ça se termine ?